I found the experience of that teenage girl in the Sixties very moving: dealing with her dilemma, alone; living through her pregnancy, alone; taking the decision to give her child away, alone; facing every day since giving birth, alone. And I was amazed at the parallels with Ignoring Gravity and with book two in the series which I am currently writing. Connectedness features a teenage art student who, finding herself pregnant, also deals with her situation alone. 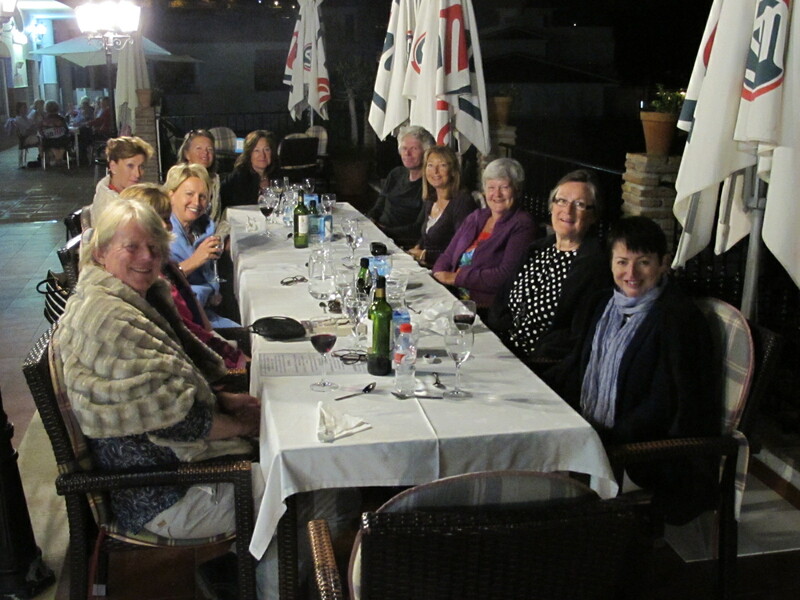 Thanks to the members of the Cómpeta Book Group for such a friendly welcome and lively discussion. What a beautiful part of the world to live in. 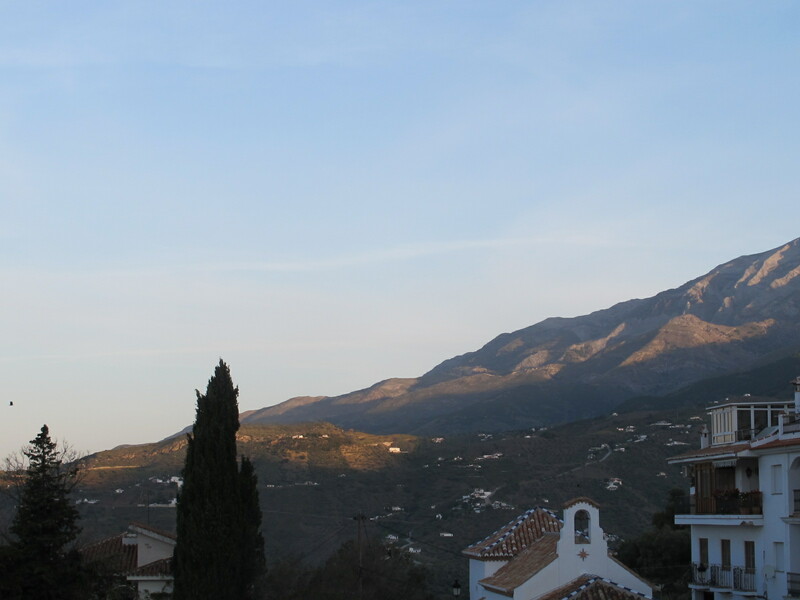 This was the view from our hotel balcony the morning after. If your book group would like to feature Ignoring Gravity, click here for a Reading Group Guide suggesting topics for discussion. If you would like me to visit your Book Group, please use the Contact Form here. Buy Ignoring Gravity now at Amazon UK and Amazon US. Available as e-book and paperback. 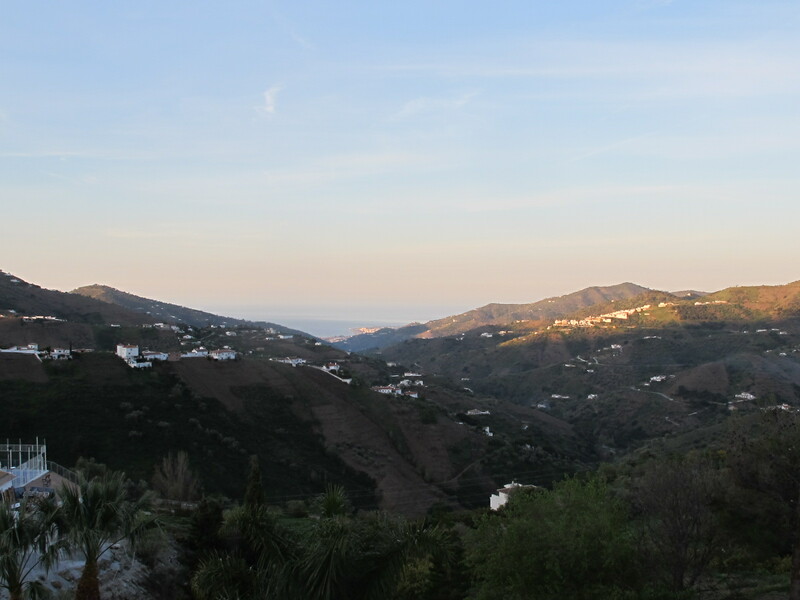 This entry was posted in Just Living and tagged adoption, Andalucia, books, living abroad, Sandra Danby, Spain on April 15, 2015 by sandradan1. To find out what it’s about, click here to watch the book trailer. To hear me talk about how I wrote the book, click here. This entry was posted in Just Living and tagged adoption, books, family history, Sandra Danby, writing on November 21, 2014 by sandradan1. Reserve your copy of my novel Ignoring Gravity by pre-ordering at Amazon. Simply click here to pre-order and the e-book will be sent to your Kindle on the day of publication: November 21, 2014. To find out what it’s about, click here to watch the book trailer. Coming soon… the Ignoring Gravity paperback. This entry was posted in Just Living and tagged adoption, Andalucia, books, Sandra Danby, Spain, writing on November 16, 2014 by sandradan1. I am delighted to announce my novel Ignoring Gravity has been signed to take part in the launch of ‘Britain’s Next Bestseller’ on March 28, 2014. This is a new publishing imprint where you, the readers, can select which books go into print. If I achieve a minimum pre-order target of 250 sales of Ignoring Gravity, I will be awarded with a publishing contract for book and e-book formats. You will be able to place your pre-order for Ignoring Gravity on a special website to be launched on March 28. Watch out for more details here. 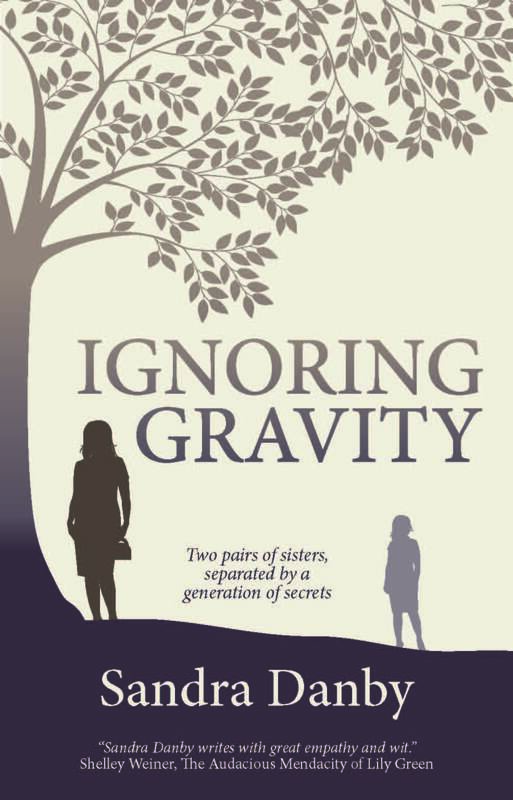 Ignoring Gravity is the story of two pairs of sisters separated by a generation of secrets. Start reading the story of Rose Haldane and her sister Lily from episode one, now, by clicking here to connect to my writing blog. Sadly for those who have been reading the story by instalments, you will now to wait for the book to be published before you find out how it ends! To learn more about ‘Britain’s Next Bestseller’ and how you can place your pre-orders, click here. This entry was posted in Just Living and tagged adoption, Andalucia, babies, Britain's Next Bestseller, Sandra Danby, Spain, writing on February 19, 2014 by sandradan1.